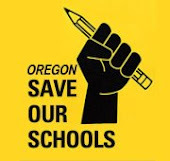 We are a group of committed community members that want to provide a quality and equitable education for all students in the state of Oregon. We are founded on the four principles of the National Save Our Schools Movement and affiliated with the group Parents Across America. We have no financial backers or interests. Parents Across America "What We Believe"